Just over a year after the launch of its first smartwatch, luxury writing instruments and watchmaker Montblanc has announced its newest version of the wearable, the Summit 2. The Summit 2 packs even more functionality into the body of the already-luxurious timepiece. With a starting price of $995, the smartwatch has a new smaller 42 millimeter case, making it considerably smaller than the 46mm original Summit. It runs on Qualcomm’s latest Snapdragon Wear 3100 chipset. 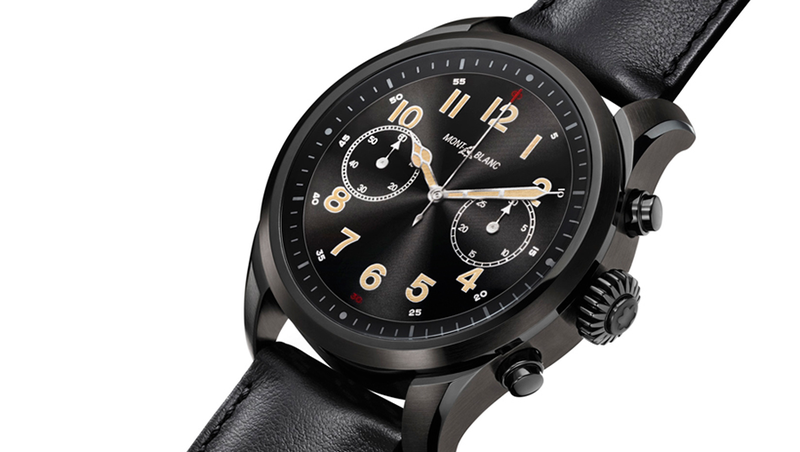 Montblanc Chief Executive Officer Nicolas Baretzki told Bloomberg that the watchmaker worked in close collaboration with Qualcomm and Google on the watch. “The new chipset requires less battery and incorporates a time-only mode, with only the time displayed and all smartwatch functions turned off,” he said. The time-only mode can result in a battery life of up to one week, according to Montblanc. For both Qualcomm or Wear OS, the focus on luxury smartwatches is nothing new. Pankaj Kedia, Qualcomm’s senior director for smart wearables, once said that a smartwatch should be “first and foremost, a fashion watch.” Therefore, it’s no surprise that the first few Wear 3100 devices are of the luxury premium variety. Compared to the original Summit, the Summit 2 has a bigger storage (8 GB), and NFC payment option, and water-resistant (ATM 5), both of which weren’t present in the original Summit. The new watch also has GPS, GPS, a sharper display, faster processing, and voice assistant. The company also included new travel applications, including the Timeshifter app designed to reduce jet lag, as well as a live Running Coach app. The permanent color-ambient display means the face should always be visible. There’s also a Montblanc live Running Coach app, which is powered by Firstbeat’s analytics engine. The app allows runners to track fitness levels (based on VO2max) as well as specify goals and receive personalized training plans. Montblanc CEO Baretzki said they’ll focus on 3 aspects in the future: fashion, access to short pieces of information, and how the device sits on the body. “We will explore these three verticals further in equal measure and keep pushing boundaries to come up with new and important use cases,” he said. The Summit 2 will be available from October 15.